When a group of my friend insisted me to watch a Bollywood movie I had two choices. 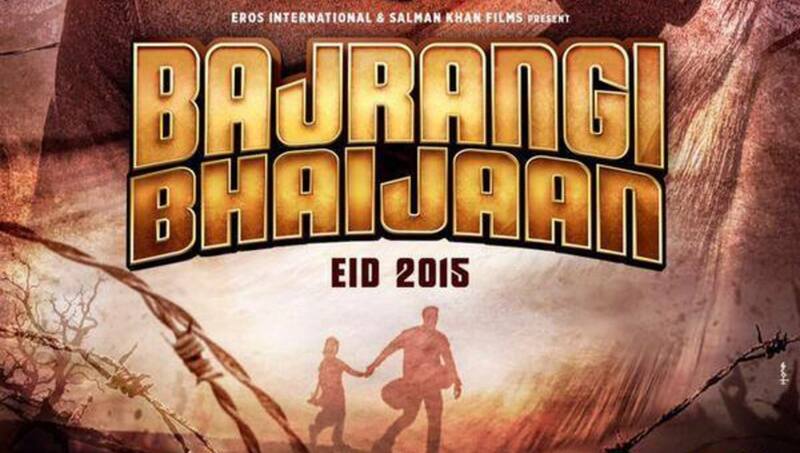 Salman Khan’s seemingly mindless flick, “Bajrangi Bhaijaan” or an VFX intensive “Bahubali“. For my geek oriented mind the later was an obvious choice. But as it turned out choice was a myth and I was dragged to the theaters for Bajrangi Bhaijaan. Now, I am not a Salman fan. I like him as a guy, but despise his movies a lot. At least which came out from past few years. So when I went to watch this movie I had totally zero expectations. The formulaic approach of releasing movie on festivals like Eid, I totally thought this was also going to be a mindless no-brainer and an insult-to-Physics action movie. So believe me when I say that you have got to see this movie! It shattered most of my expectations and proved to be a game changer for his stereotypical role that had become of Salman in recent times. And I am not exaggerating. 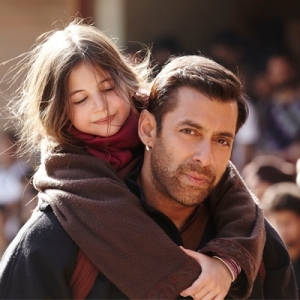 Bajrangi Bhaijaan is a story of a Pakistani girl who gets lost in India, and later meet Salman Khan, who after some incidents makes reuniting the girl with her family his mission. The little girl a child actress “Harshaali Malhotra” is one of the cutest I have ever seen. She is speech impaired in the story, but what she lacked makes up by her cuteness and expressions that won my heart many times over. I was hooked right with the opening scene of the movie itself which I found commendable. When Salman is introduced in typical hero fashion (with a song) all those apprehensions about his recent kind of movie started to appear in my mind. But as the movie progressed those slowly faded away and what shaped till the end of first half was a movie I appreciated with my hands open. The character of Salman is that of the guy in Aparichit. A guy who doesn’t lie since he believes he is a true devotee of Hanuman. Little does it helps him achieving his mission. There are many good actors who are also introduced slowly, like Nawazuddin Siddiqui, whose presence provided big comic relief to the movie in later half. Om Puri also have a small guest role. What I loved about the movie is that there are situational comedy all over the film and yet it feels very serious. No character seems out of place or stretched. What I also loved about the film is that Salman isn’t a larger than life character and story shows him as a common man. Well mostly. It was obvious that Salman would kick some behinds of people but it’s only on one occasion in this film and if we spare some of the emotional drama that happens at the climax, this film was pure fun to watch. On musical side, leaving couple of songs, every other song was good to hear. Song from Adnan Sami was a delight. Most of the songs was in the shape of background score which you can’t miss due to its tie up with the story. I only found one bad song about chicken but that was just an exception rather than the norm. And this is where you can take a break to have some air. But buckle up after that since rest of the movie will be some ride. This movie on some levels made be speechless. Probably because I had some other expectations. If anyone remember the film Lucky: No Time for Love, which came out exactly ten years ago. Lucky had Sneha Ullal in lead female role and was one of the rare Bollywood movies that I totally loved. Lucky had a similar theme to that of Bajrangi Bhaijaan. Salman met Sneha in a terrible scenario of war, and made reuniting Sneha to her family his mission. The film had a heart that touch on various emotional states of human mind on many levels. Bajrangi Bhaijaan greatly made me feel the same. But while Lucky had failed miserably, Bajrangi I feel have the potential of being a blockbuster. At least I hope so since the taste I have for movies doesn’t always appear to be a mass favorite. Not a lot of Salman movies have impressed me, yet Bajrangi felt like a blow of fresh air. Something which I would have easily missed because of my presumptions. This movie is a must watch because of its story, its music and its characters. Also because of the glimpses of Pakistan that it shows in the second half. Its a must watch for its good intentions and because of the little girl that made me smile without even a single dialogue. While my choice of genre doesn’t really allow me to digest modern popcorn blockbuster Bollywood movies, I often tend to enjoy them occasionally if served with a good story and execution. I will have to say that Bobby Jasoos was not one of them. Bobby Jasoos seems to be a half baked, self pretentious attempt in directing by Samar Shaikh and endorsed by Diya Mirza as a Producer, whose skills could have been better utilized as an actress to save this movie a little. The story of Bobby Jasoos is about a 30 year old muslim girl named Bobby, residing in the heart of Hyderabad city near the iconic Charminar. While she keeps herself involved in investigating cases in night and trying to get a proper detective job in daytime. She is having a rough time in securing clients as a detective, but luck takes a big turn as she receives an assignment that pushes her to her limits. Rest of the film is a riot as she tries to struggle her career as a detective and manage her family emotionally who doesn’t seem to be in favor of what Bobby does. While the film seems to have so much potential what makes it fail is the treatment. The film starts of in a humorous tone and actually seems like to begin with the right foot. But as it picks up pace we are introduced some of the people that seems like a cliche examples of typical characters from all of the Bollywood movies I detest watching. Slowly the viewer is faced with slapstick humor, family drama and been-there-done-that events that feels like Deja Vu in the course of a family drama movie. Songs don’t help either. Neither of the songs in the film leaves an impression on the viewers mind, rather give them a chance to take a break and catch up on sleep while they are at it. There is one particular song in the movie which I won’t specify to stay away from spoilers, and which I personally think was totally uncalled for in the situation. Perhaps the pacing or editing could have been a lot better, so as to give the movie a coherent flow. In this movie Vidya Balan in the role of Bobby gets to change in a lot of getup (around 12) but most of them doesn’t help the story in much ways. It looks as if she was made to change just for the sake of humor. While the film can be considered short at just 121 minutes, it feels somewhat dragged occasionally, and fails to let viewers invest their emotions into any of the characters except of the lead character. That being said, the film does have its moments but those are just a few. I would also say it was a daring attempt to try to execute a movie with only a female lead, who for the most part remains out of glamor, and where she is also shown to break free from many of the stereotypical role a women is portrayed in Indian movies. I would also have to admire Vidya Balan for her acting skills as she was very convincing in all of those getup she did onscreen. I would not blame the execution of the movie on her since the onus of the complete movie lied on her shoulders alone. And she did her role perfectly. It would be fair to say that while the first half of Bobby Jasoos, raises viewers interest a little, second half helps it raise even further, but the final twist fails to live up to the expectation. One more movie “Queen” was also released recently where the story was about a female lead who is shown to break free from various stereotypical roles, but it would be unfair to compare both of them, because while Queen was set up in vibrant and colorful foreign cities like Paris and Amsterdam and was more closer to today’s generation, Bobby Jasoos relates more to India and typical Indian family drama, and was filmed totally in the streets of semi urban parts of Hyderabad which gave the movie a special flavor of India, more closer to most of the people of the country. Combined with all other things I would rate the film a 6 out of 10. Extra 1 to give bollywood a break from the male dominant masala movie and an attempt to create India’s own Sherlock Holmes. I had low expectations from the movie before I went to watch it on Friday night with 3 of my friends. Owning to the title of the movie and Bunny (Ranbir), I thought this will be another cheesy bollywood rom-com film. First half of the film was right upto what I was expecting. Typical masala type movie with a dance number and awesome larger than life “Hero” character. But the humor didn’t disappointed, and there were many instances were we got the opportunity to laugh. Specially the tomboyish character Aditi (Kalki Koechlin, I like her), and his dialogues. I am an Idiot. And I am accepting this fact, not to follow the trend of today’s youngsters, but because I really am! And I am putting this assertion on the fact that I waited for so long to watch it. 3 Idiots is the story of the guys, who are facing the most difficult times of their lives which is, to make a life! The students who face various kinds of tortures when getting admission to a renowned college, in the form of ragging, as well as the pressures of dealing with studies, and the expectations of their parents, these all are aptly shown in the film. There are moments of joy, sad and of course, love, throughout the film. But what is prevalent, is the awesomeness of friendship, and the bonding which the trio shows and which could have been the reason alone, for proving it to be a hit.